Bad Moms Blu-Ray Giveaway! - Are You Screening? Bad Moms was quite the surprise hit this year, not because there was necessarily any doubt that Mila Kunis, Kristen Bell, and Kathryn Hahn had the potential for a wonderful, comedic ride, but because the year had so many disappointments. Not only a brazen comedy that sets “normal” moms against the classic “mean moms” that create and then assume their status from shiny perfection, the film also takes a look at a variety of other social frustrations facing women today, who shockingly don’t want to work, one way or another, 20 hours a day. 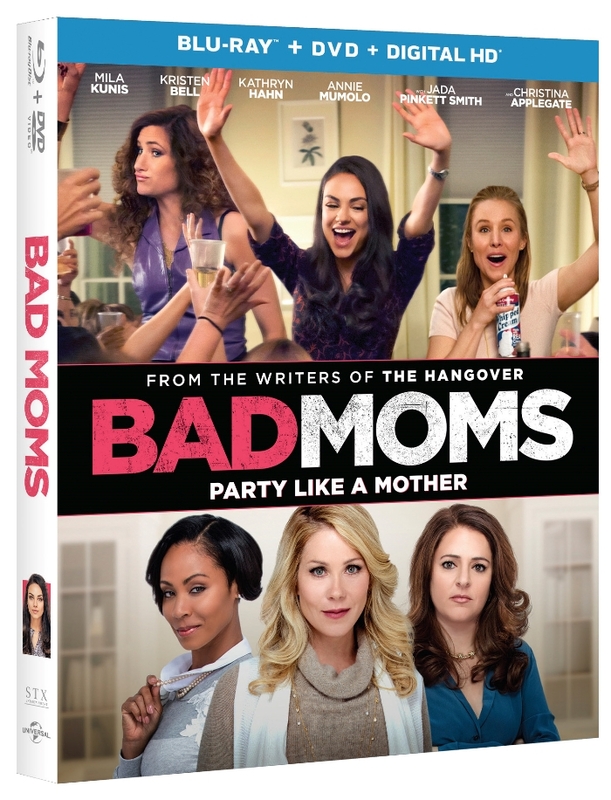 Bad Moms is available on Digital HD now and coming to Blu-ray™, DVD and On Demand on November 1, 2016, from Universal Pictures Home Entertainment, and you can win your copy of the Blu-Ray right here! Just find the entry box below and start entering, and be sure to tell your friends, because you know someone who wants a copy. Bad Moms, the year’s biggest R-rated comedy – a runaway hit with audiences and critics alike – is coming to Digital HD on October 18, 2016 and Blu-ray™, DVD and On Demand on November 1, 2016, from Universal Pictures Home Entertainment. The raunchy film described as “incredibly funny!” by Chris Nashawaty, Entertainment Weekly, is the first R-rated comedy since The Hangover to earn an “A” grade from audiences nationwide. Hailed by critics from The New York Times, Chicago Sun-Times and Washington Post, Bad Moms is one comedy not to be missed. The Blu-ray™, DVD and Digital HD come with nearly an hour of exclusive bonus content including hilarious deleted scenes, gag reels and exclusive interviews with the cast and their moms that will have everyone laughing again and again! 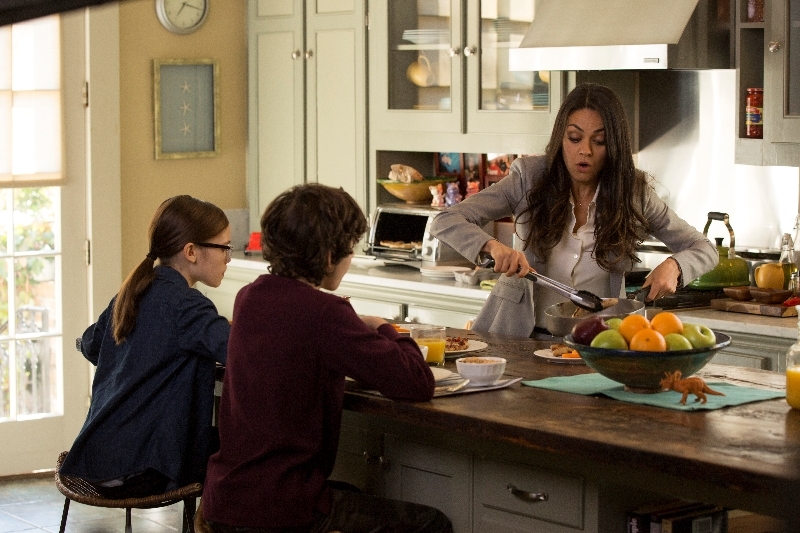 In this hilarious and heartfelt comedy from the writing duo behind The Hangover, Amy (Mila Kunis) has a seemingly perfect life – a great marriage, over-achieving kids, beautiful home and a career. However, she’s over-worked, over-committed and exhausted to the point that she’s about to snap. Fed up, she joins forces with two other over-stressed moms (Kristen Bell and Kathryn Hahn) on a quest to liberate themselves from conventional responsibilities – going on a wild, un-mom-like binge of long overdue freedom, fun and self-indulgence – putting them on a collision course with PTA Queen Bee Gwendolyn (Christina Applegate) and her clique of devoted perfect moms (Jada Pinkett Smith and Annie Mumolo). See the movie that critics are cheering as “…a funny, giddy, sentimental laugh-in…” – Manohla Dargis, The New York Times.